Croatian Regulatory Authority for Network Industries – HAKOM regularly collects and publishes data and indicators on postal and rail services market as well as electronic communications market. 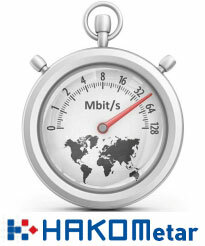 HAKOM collects data on the following markets: fixed network; mobile network; Internet; broadband Internet access, cable television, lease of telecommunications lines, network or parts of network; as well as on the postal and rail services market. The data is collected, checked, analysed and published quarterly. All data and indicators are published collectively and not individually. Data and indicators can be found here, with the note that HAKOM assumes no responsibility for the quality of the reports with the data provided by the operators. The full reports can be found under Documents. Comparative analyses of the current situation in the postal ad rail services market as well as in the electronic communications market are based on officially available EU data. Quarterly collected data is received from the operators either electronically or by post. Guidelines for the operators regarding the electronic submission of the data can be found here.